Ø Wear a scarf, hat or cap to protect your hair from the cold and wind, but make sure that it’s not so tight that it will restrict circulation in your scalp. Ø Using hot oil can be an effective measure towards protecting your hair in winter. You can try using a natural hot oil solution like jojoba hot oil treatment for your hair and it can excellently re hydrate your dry hair. Ø Use a conditioner daily. Ø Avoid shampooing your hair too often. In winter the hair as well as the scalp dry easily and shampooing too frequently can worsen the case. Ø Once your hair is conditioned, run it through cold water. Doing so can add shine to your hair. Ø Once you have your hair moist, lock in the moisture by running your hair through cold water, this will also give your hair an extra shine. Ø Don’t go outside with your hair wet, you risk breakage; your hair will freeze if it’s cold enough outside and may break. Ø Limit your use of hot items on your hair such as a blow dryers and curling irons. Ø If you need to use a hot item use a leave in conditioner before using the item on your hair. Ø Static energy remains very intense during wintertime. If your hair is charged with static, brushing your hair can pose a very big problem. Static causes huge damage even with ‘static free’ brushes. Rub a dryer softener sheet over the brush, which can greatly detangling your hair. Ø Avoid taking hot showers or washing your hair in hot water, use warm or cool water instead, the heat can dry out and/or damage your hair and skin. Ø Hair products that have the word, Replenish on it is made to moisturize your hair. Ø If your hair tends to become too dry during winter, try opting for a hair repair mask, which will help you replenish your hair to a great extent. Ø Try using a dry shampoo if you need to wash out your hair, one dry shampoo you can use is baby powder, simply sprinkle some onto your hair and use a comb to comb it off. 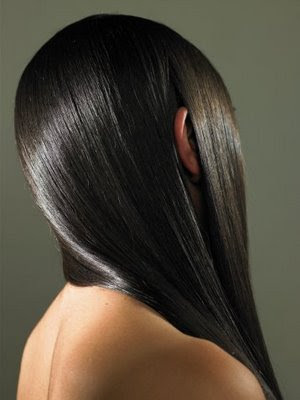 Ø Some intensive home made conditioners can also combat the winter dryness of hair.